Free shipping. Buy direct from HP. 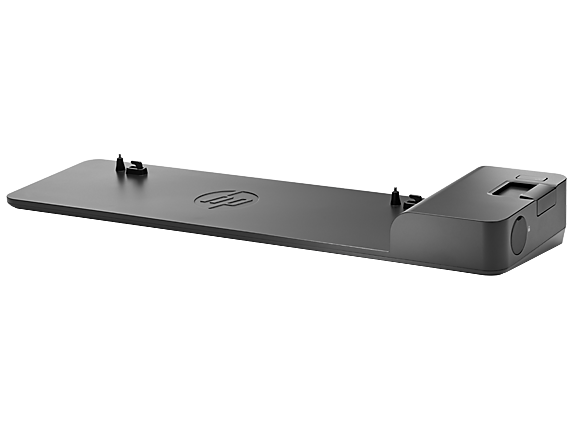 See customer reviews and comparisons for the HP UltraSlim Docking Station. Upgrades and savings on select products. 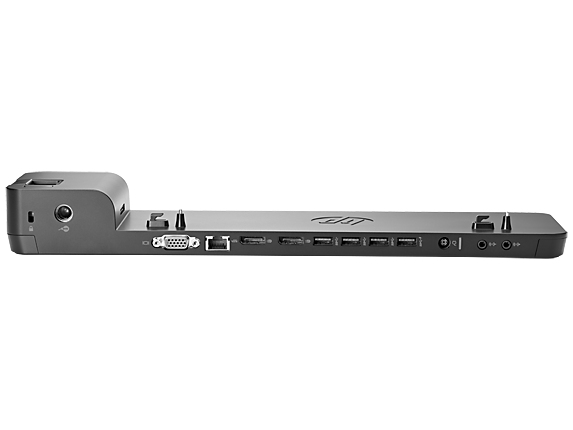 Designed exclusively for ultraslim HP EliteBook Notebook PCs, the HP UltraSlim Docking Station expands display, network, and device connectivity so you can be more productive throughout the day—all through a simple one-click slide-in side dock. Having a reliable, professional laptop comes with myriad advantages, and portability to work wherever you want is at the top of the list. When you need the functionality of a PC, however, sometimes you need a bit more. The HP Ultraslim docking station gives you the portability of a laptop with the expandability of a desktop PC. Designed to fit with a wide range of HP laptops, this dock allows your laptop to function like a PC in seconds to connect your favorite external device and work with multiple displays to help boost your productivity. Sporting a compact design, the HP Slim docking station easily connects to your HP laptop. It leaves a small footprint while providing support for USB devices, display ports, and network connections. Elegant engineering and an affordable price tag make this the perfect solution for turning your laptop into the ultimate source of efficiency. Showcase your latest project or present to your entire team by connecting up to two external monitors. Or, improve your internet speed by opting for a wired connection through the Ethernet port. Designed for seamless integration with select HP laptops, the HP Ultraslim dock lets you do more without taking up space at your workstation. Compact enough to take on-the-go, too, you can connect and expand from any location. Enjoy the freedom to work uninhibited at your favorite coffee shop, on the train, or anywhere else. There are multiple compatible laptops to choose from to use with your HP Ultraslim docking station, and HP ProBook 600 series laptops ranks among the best. Sporting a sophisticated, slim design that’s as durable as it is stylish, this series of laptops adds an elegant touch to your workday without sacrificing performance quality. They feature 8th Generation quad-core Intel® or AMD Ryzen™ PRO processors to deliver fast, reliable power no matter how hard you’re working. These portable powerhouses also range from 14- to-15.6-inch displays while offering multiple options in cutting-edge graphics and memory solutions. Perfectly compatible with the HP Slim docking station, you’ll take your experience even further when pairing these two products. No matter how much you rely on your laptop to get you through your day, sometimes the features of a desktop PC are necessary for successfully tackling your to-do list. Broaden the possibilities of your laptop with a docking station that provides an effective and sleek solution to let you stay on top of your workload and be prepared for anything. The HP Ultraslim docking station gives you everything you need to get you where you need to go.